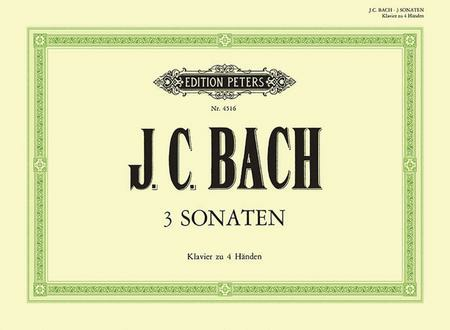 Composed by Johann Christian Bach (1735-1782). Piano, 4 Hands. Sheet Music. Edition Peters #EP4516. Published by Edition Peters (PE.EP4516). January 21, 2009 Easy to sight read, and good for a casual approach. no. 6 in C, Op. 18 no 5 in A, and Op. 18 no 6 in F. This is pleasant rather than "deep" music and, with some early Mozart works, constitutes some of the first pieces in this genre. Recommended for those interested in this composer or this period. 20 of 35 people found this review helpful.